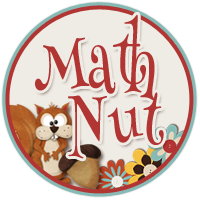 When I talk to other teachers about math, they want a way to help their students to be problem solvers. To be true problem solvers, students need to frequently solve a wide variety of problems. A couple years ago, I created a problem solving graphic organizer which broke problem solving down into 8 steps. I have found that these steps are helpful for some students and slow down the thinking process for other students. For me, this is one of those times where it is important for me to know my students. Which students need the step by step and which students see the big picture. I believe all students should begin with “#1 What are you supposed to figure out?” In a multiple choice question, this is the last sentence right before the answer choices. After reading the question, students learn their goal for the problem. Once students read the rest of the problem they will devise a plan to accomplish their goal. It might involve one step or several steps. When students believe they have the answer, they need to go back to the question. They need to ask themselves if they answered the question being asked or some other question. 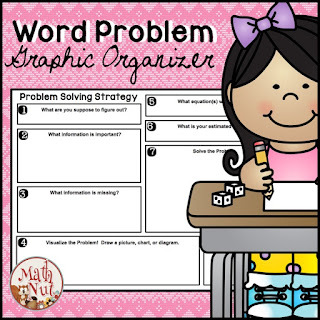 Click here to get your FREE Word Problem Graphic Organizer!